L. Flaminius Chilo was one of the moneyers for the year 43 BC. He is not otherwise known, but must have been a supporter of Caesar, given his coinage. 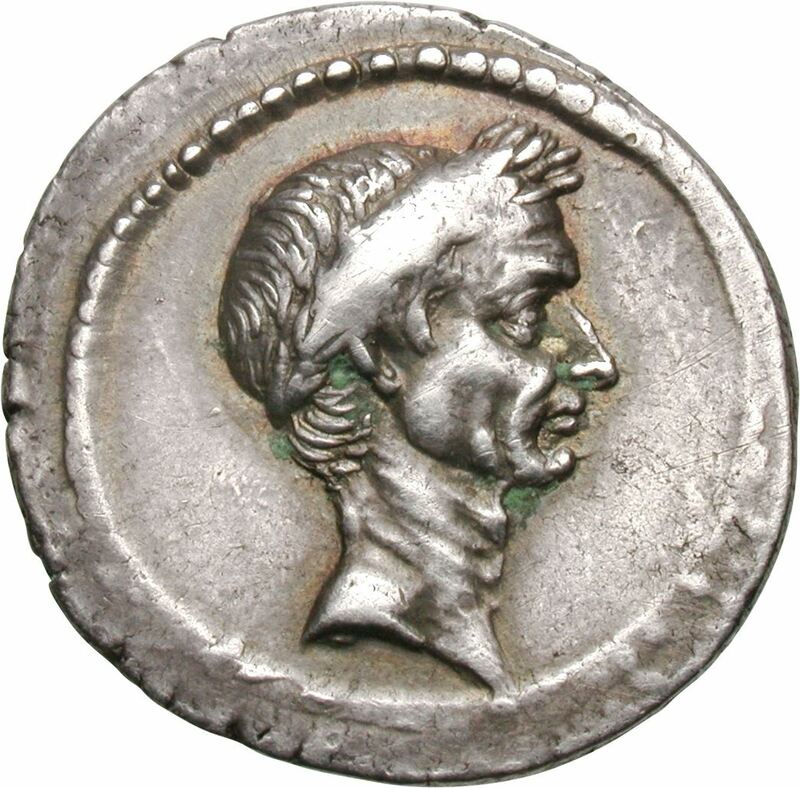 Interestingly, Flaminius Chilo was a quattrovir monetalis - as Caesar had added a fourth member to the triumvirate in charge of striking coins, and also given them the liberty of striking gold coins.